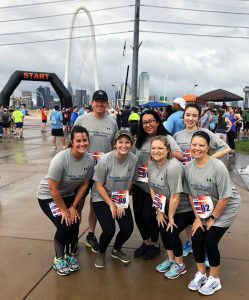 For the second consecutive year, employees from Powers Taylor ran in The Freedom Run put on by the Dallas Association of Young Lawyers (DAYL). 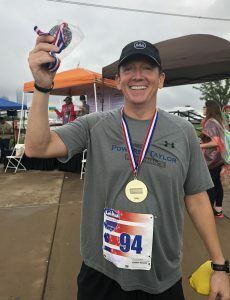 Though the usual running route was flooded and rain threatened the morning, hundreds still showed up to the annual race, which benefits the Dallas Assist the Officer Foundation. For the last 18 years, companies and individuals around Dallas have participated to raise money for local officers who are in need of financial help from a serious injury, life-threatening illness, or other catastrophic event. This year we got a special surprise— Partner Patrick Powers was able to snag second place in his age group! Way to go Patrick! 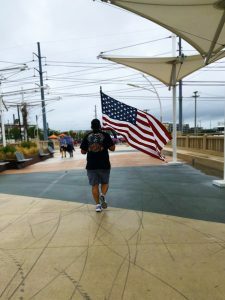 The Freedom Run has quickly become one of our favorite firm activities. This year’s event was very well done, despite the rain, and we will definitely be back for another round next year!